On 6 January the Bulgarian Orthodox Church celebrates Epiphany holiday. On 6 January the Bulgarian Orthodox Church celebrates Epiphany holiday. The holiday is known also as Jordan-day because, according to biblical legend on this day. 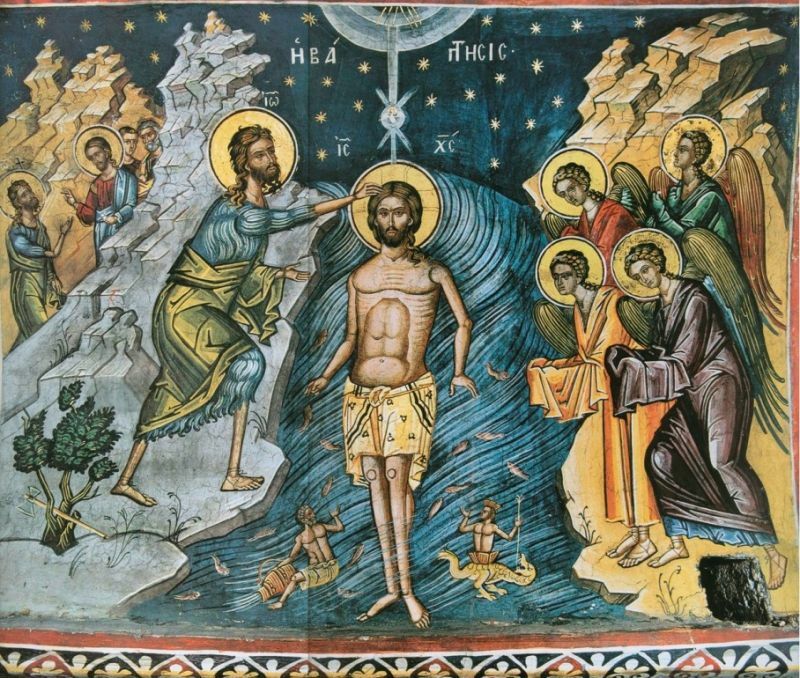 Jesus Christ was baptized in the River of Jordan by John the Baptist. According to the legend, at the time of baptism sky opens and the Holy Spirit descends on Christ as a dove from heaven and spread voice: "This is my beloved Son, in whom I am well pleased" which has brought the name Epiphany. At this day the water is consecrated. After the church service the priest throws a cross into the river (or the sea/lake/etc.) and group of young men jump into the river to find it. It is believed that one who find it will be healthy and happy. The day is a name day of people with names Jordan, Yordanka, Dancho, Danka, Bogoljub, Bogoljub, Bojan, Bojana, Dana, Clear, Boyan, Bogdan, Bogdana.